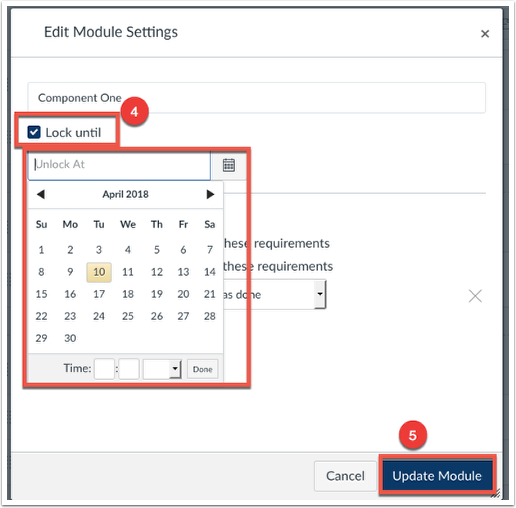 Modules can be locked until a given date in case the information within the module should not be viewed until a certain time. 1. In Course Navigation, click the Modules link. 2. Click the Options icon. 4. Choose to Lock Until checkbox, and set the lock date. 5. Click update Module, and your settings will be saved. For more information on Modules, visit out Help Guides regarding Modules. Prev: How do I Create Modules?